Your life's journey starts here; Georgia's only Public Liberal Arts University. Georgia College is a unique setting where you can discover what truly drives your spirit and learn how to develop your talents to make a real difference in the world. Georgia College delivers the best of both worlds - it's small enough to offer you personal, one-on-one learning and individual attention and public enough to offer you the affordable tuition of a state school. Georgia College - an incomparable place to launch your life's journey. 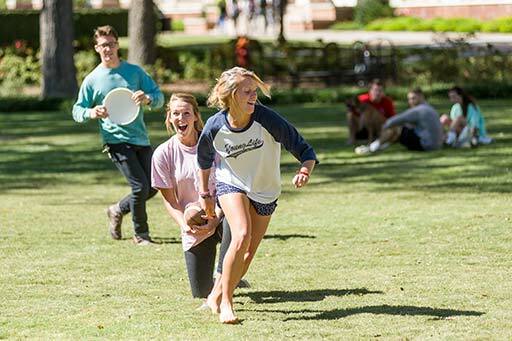 In addition to the beautiful campus and personalized education, Georgia College allows you to enjoy every part of life as a student. Living on campus puts you right in the middle of everything. Whether you prefer dorm living (Main Campus) or apartment living (West Campus), you will be an active part of the GC community. Facilities for whatever you’re into. Hang out and play at the Den. Work up a good sweat at the Wellness and Recreation Center. Volunteer your time at The GIVE Center. Join one of Georgia College’s more than 200 student organizations and connect with people who share your passion for almost anything – activities, fine arts, science, business and so much more. Georgia College students make a noticeable difference. It's a huge part of who we are. We have built a culture in which every student is encouraged to make a difference and given the resources and opportunities to do so - in the community and in the world. From your first visit to your graduation, the warm, welcoming atmosphere of the Georgia College campus will always make you feel right at home. Some of our students take the road less traveled. Others follow a more traditional path. This creates an environment where individuality is celebrated. Every student brings a unique background and perspective to Georgia College and it is the combination of those diverse experiences that make the educational culture here so rich. Georgia College offers a home-away-from-home setting where students can safely live and learn, and parents can relax knowing their kids are well-protected. 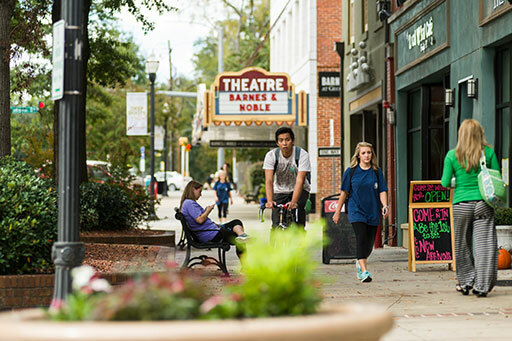 The campus is part of downtown Milledgeville which boasts a low crime rate, solid public transportation, and access to various free college transportation services.